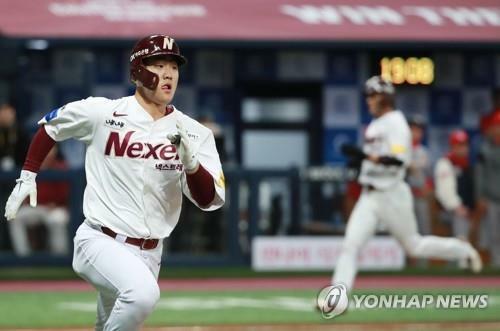 The Nexen Heroes will live to see another day of South Korean postseason baseball, after earning a nail-biting win on Tuesday. The Heroes are trying to do what only two teams have accomplished -- overcoming a 2-0 series deficit in the penultimate round to reach the Korean Series. The Wyverns tied the score at 2-2 in the top of the fifth with -- what else -- a home run. This time, No. 8 hitter Kang Seung-ho sent a solo shot over the left field fence, also his first long ball in the postseason. That base running gaffe -- Park hesitated for a moment before going for third base -- got the Heroes off the hook and gave them a new life. The Heroes’ much-maligned bullpen -- which blew a league-worst 23 saves in the regular season -- stood its ground in this one.